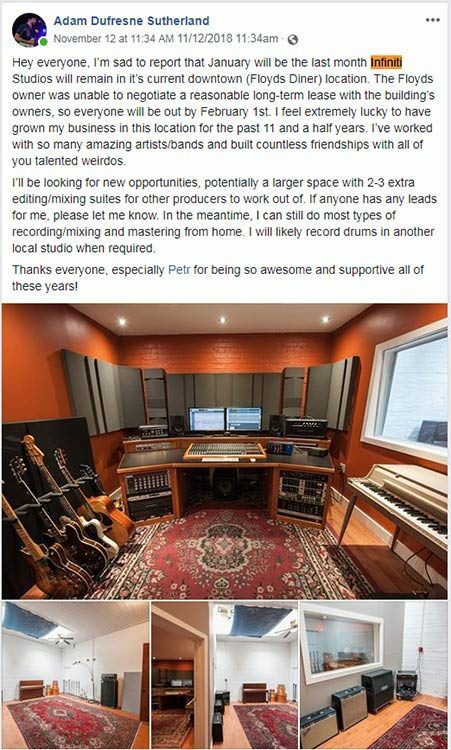 In a statement made on Facebook November 12, 2018, Infiniti Studios owner Adam Sutherland announced that the Victoria recording studio will close it’s downtown location by February 1, 2019. Sutherland is now looking for a new, potentially larger space for the new home for Infiniti Studios. 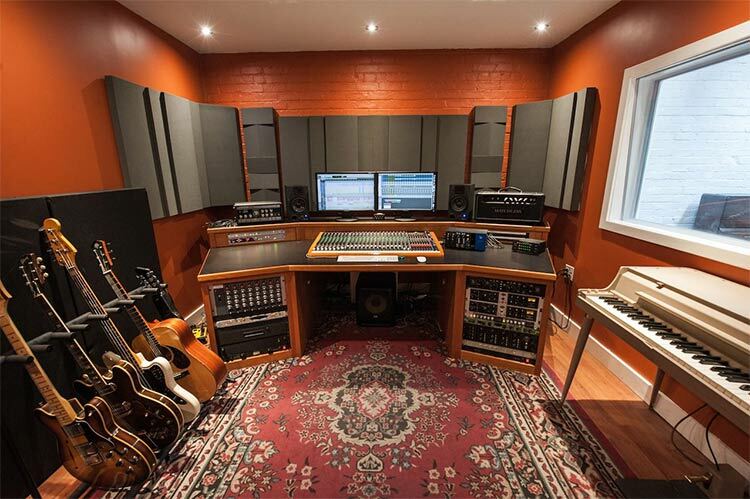 During the studio’s 11 year run in its downtown location, numerous local and international musicians have recorded music there. There is speculation that the property will eventually redeveloped into condos. Properties across the street and two doors down beside Capital Ballroom have already started construction of residential towers.